I’m not training for anything right now (I do have a 5-mile Turkey Trot lined up for Thanksgiving morning), so my runs have been sporadic. After recovering from the NYCM physically and the Election mentally (ok, no, I’m not recovered from that) I participated in a Light Up the Night run in Central Park on Sunday the 13th to promote better lighting in our parks. We were given light-up bracelets, which I plan to use in the future along with possibly getting a brighter running jacket with more reflective details. Now that my pre-work runs are mostly in the dark as are my post-work ones, I would like to feel safer in this regard. Video from the event is here, I spotted myself briefly toward the end in my NYCM jacket. I ran with the 10:00 pace group and our first mile was slow due to crowding, our second was closer to 10:00 even and our third was a relatively scorching 9:30. We also paused going up Cat Hill, as seen above. I’m making a me-ow kind of cat claw. And a cool shot of our blinking bracelets after! I felt good after and headed home, though foolishly did not foam roll. 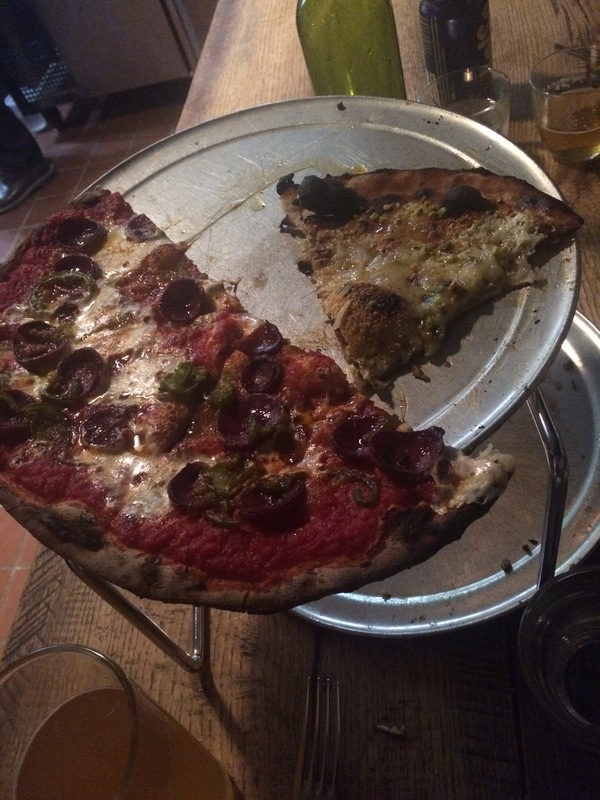 I finally got to try pizza from Emily and it was amazing. We got the Emily, the Colony, and the Emmy burger, plus some beer. It lived up to the hype, though we were glad to not have much of a wait. On Wednesday the 16th, I headed to the gym to do some treadmill speed work (my first since Mile High Run Club back on 10/25). I timed myself planking and did some kettlebell swings and can tell that I’ve generally lost non-running fitness over the last few months. Time to get back to that! I reactivated my ClassPass and plan to dabble in barre and spin again, plus maybe try kickboxing. I then totally squandered a beautiful potential weekend of good running weather by sleeping in both days this past weekend! Well, Sunday would have been rough, but Saturday was beautiful. 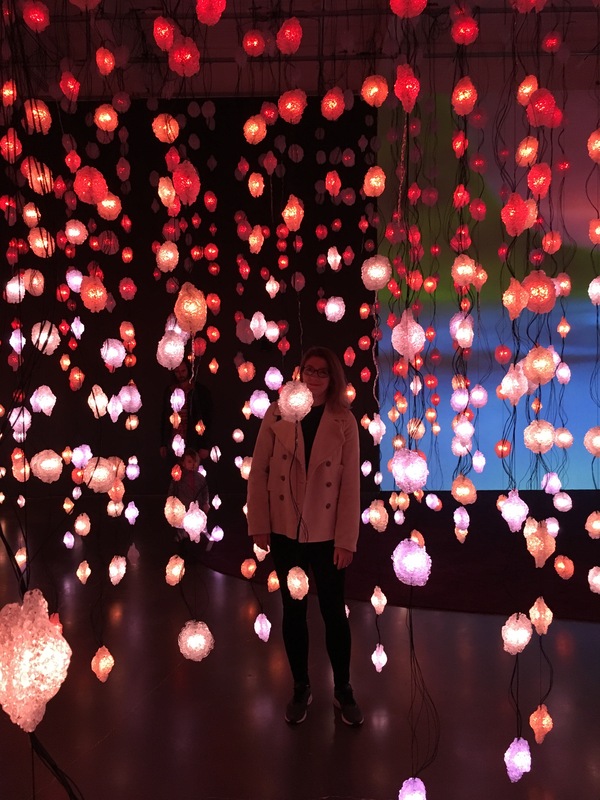 I went to the New Museum with friends to see the Pippilotti Rist exhibit Pixel Forest. It looks like the Mercury has dropped mostly for good, so I need to get back into the mindset of colder weather runs. I still need some warm gloves, but purchased a warmer jacket on super sale just before the marathon, the Lululemon Rush Hour jacket. It has similar fabrics to last year’s Kanto Catch Me Run jacket that I wanted. Up next: After using the Turkey Trot as an assessment, I’ll see about using the $50 NYCRuns credit I have for a final race and PR attempt of the year (a 10K sounds about right, I’m not feeling the double digits so much). Also, I’m starting a 10-week speed training at an indoor track this week with my running group. The track is only 200 meters, which means lots of laps, but I’m excited. Speed (and strength and overall health) is my top goal for 2017.